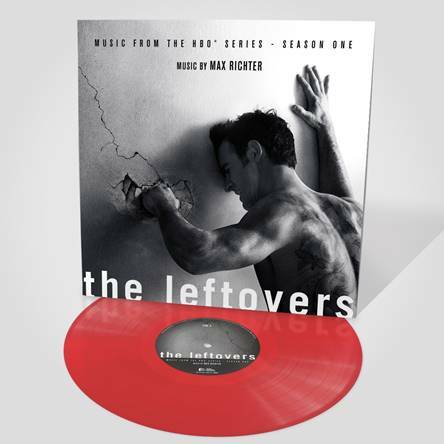 Issued on limited edition red vinyl is Max Richter’s emotive and minimal score to Damon Lindelof’s TV series about a post-apocalyptic global event where 2% of the world’s population disappears without explanation. Richter’s approach explores the feelings of the protagonist’s family, the Garveys, through intimate, small scale music. He tackles this psychological landscape by bringing a ritual quality to the score, while themes of departure and loss are represented by a sense of sonic decay, relying on the instrumentation of a few sustained tones on pianos, harps and celesta. Max Richter is a classically trained composer that defies boundaries. Trained at the Royal Academy of Music and finishing his studies under the tutelage of avant-garde composer Luciano Berio in Florence, Richter’s career has followed many paths. His musical output ranges from ballets (Wayne MacGregor’s Infra), reinventions of classical works (Vivaldi’s Four Seasons), collaborations with The Future Sound Of London, Roni Size and Vashti Bunyan to writing scores for film and TV (Waltz With Bashir, Lost and Found, Last Days on Mars) and solo work (Memoryhouse, The Blue Notebooks, 24 Postcards In Full Colour).